University of Chicago postdoctoral scholar Sebastiaan Krijt asks the question: If a life form existed on one of the TRAPPIST-1 planets, could space debris carry it to another? 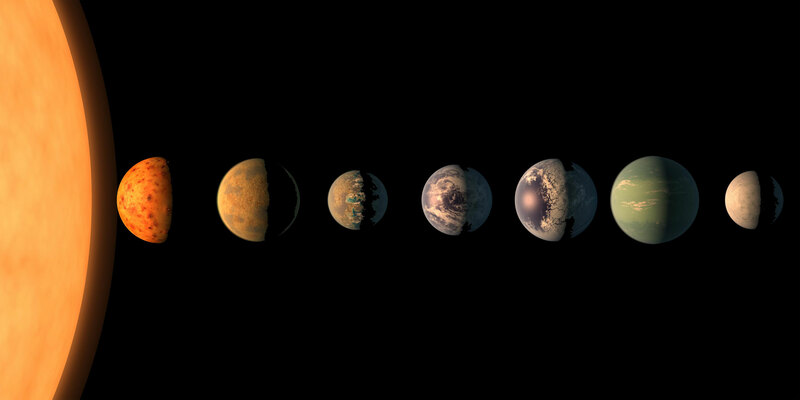 NASA announced in February the discovery of the TRAPPIST-1 system – a solar system with seven planets—three of which were deemed potentially habitable. Following this discovery, Krijt and fellow UChicago astronomers conclude that life forms, such as bacteria or single-cell organisms, could travel through the newly discovered TRAPPIST-1 — an unusual solar system that presents an exciting new place in the Milky Way to search for extraterrestrial life. They published their research in Astrophysical Journal Letters. The team ran several simulations for TRAPPIST-1 and found that the process could occur over a period as short as 10 years. Most of the mass transferred between planets that would be large enough for life to endure irradiation during transfer and heat during re-entry would be ejected just above escape velocity, they concluded. 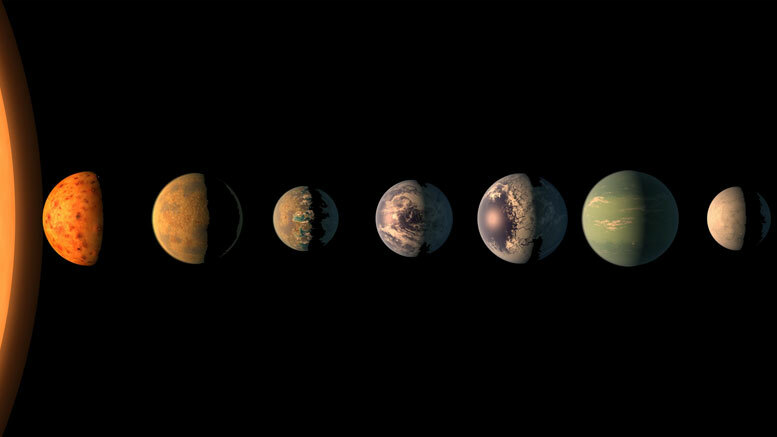 1 Comment on "Newly Discovered TRAPPIST-1 System Could Spread Life Between Adjacent Exoplanets"
Fascinating! We are living in an astonishing new era!